Are your employees unmotivated and uninspired? Can you imagine how much better it would be if they were all on the same page as you are? After 25 years of real world trial and error, Gary Brose has identified the seven steps to a more productive workforce. 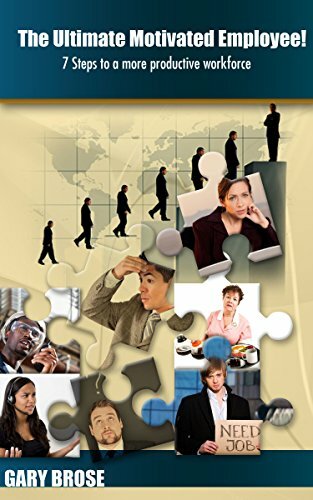 Simple techniques business owners and managers can use to engage their employees and get them all pulling together. This isn't a theory. These are proven methods identified by comparing notes with other managers and through years of agonizing trial and error in the real world, in real time with real flesh and blood employees! You will learn how to make several small changes in the way you interact with your workers that will get them to care as you do. You will see dozens of examples with real life stories from other business owners who understand the same principles. Don't wait until it is too late. Start today with this easy to read, entertaining and thought provoking book about YOU and your management style!